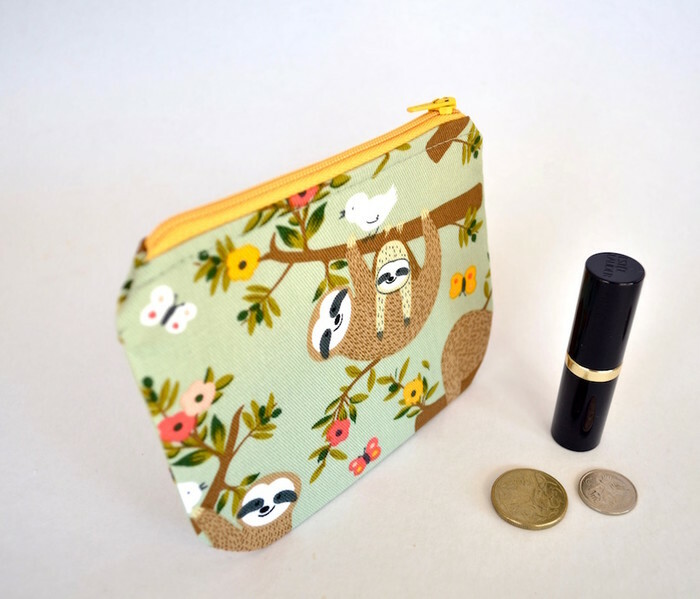 This little coin purse is made with the most adorable cotton fabric. 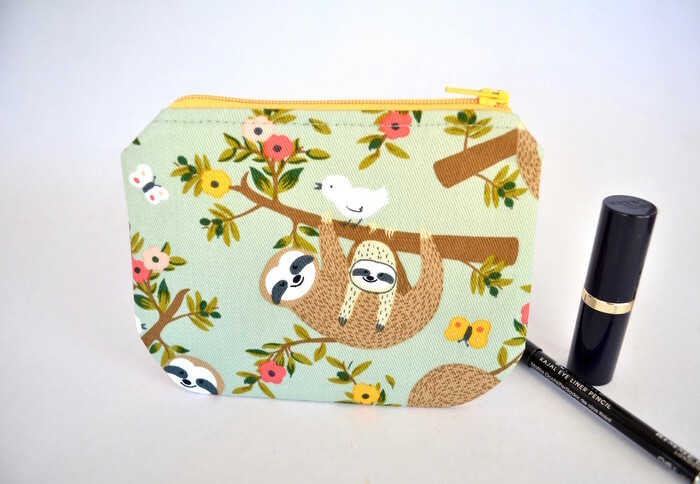 Sloths and their babies, butterfly's, birds and flowers hanging out in the treetops. 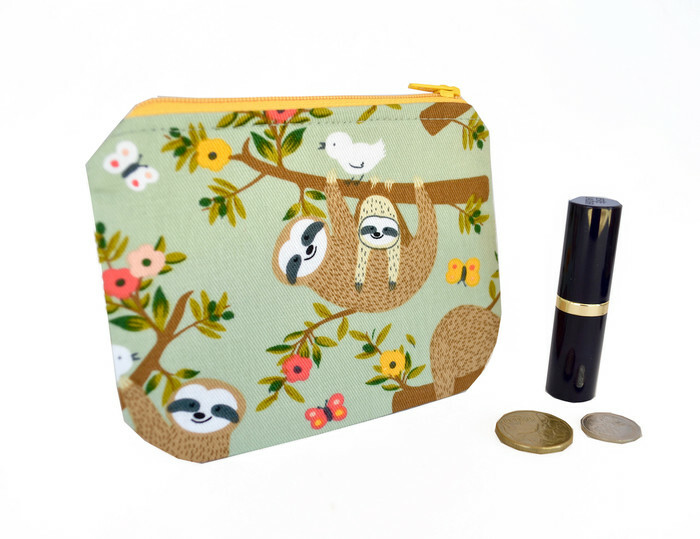 Lovely gift for the young or not so young to store their small change, earbuds, lip gloss etc. 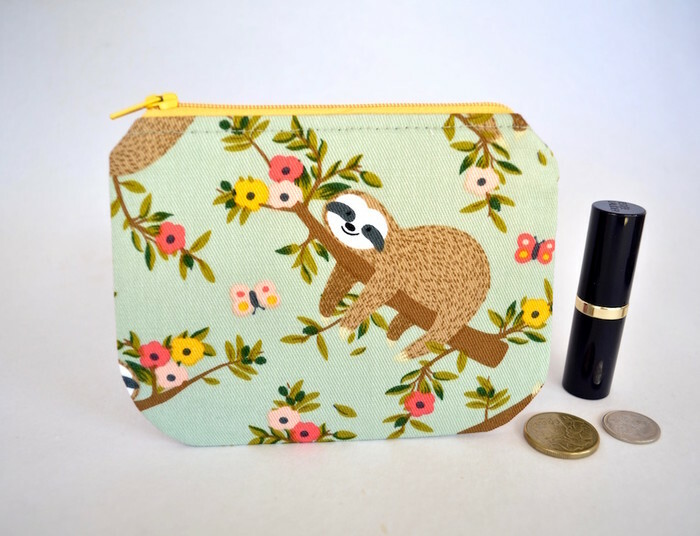 Made with cotton drill fabric and lined with beige cotton. Reinforced with heavy weight interfacing. 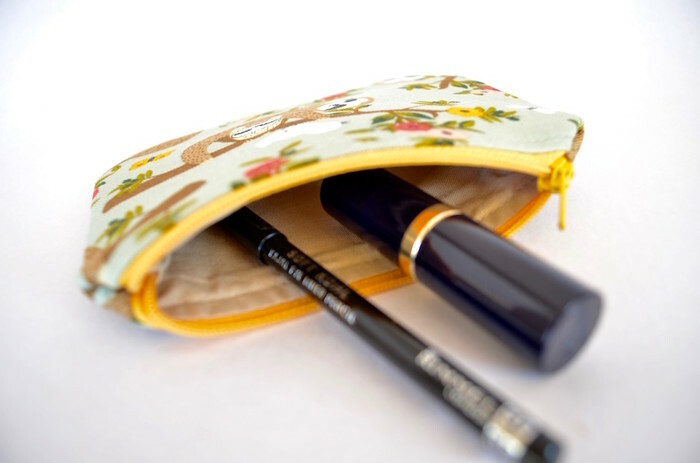 Closes with a bright yellow zip.